Hydroseeding is a great way to install your lawn. There are many advantages that hydroseeding has over other methods, including seeding by hand and applying sod to the soil. While hydroseeding is a good method, you will want to hire a professional who can handle hydroseeding in Tacoma so you can be sure the entire process is done correctly. A professional will be able to give you the best, strongest, and healthiest lawn around. Hydroseeding has many benefits that you can enjoy, especially when compared to other, more traditional methods of applying seed. If saving money while also getting a nice, healthy lawn sounds like a good way to go for you, then you will love hydroseeding. Hydroseeding is one of the most cost effective methods for installing a lawn. You can establish the desired effect without the expense, time, material costs, or installation demands that other methods, like sodding and hand seeding, require. The entire process of installation will be done quickly, meaning you won’t have to spend weeks on it to get what you want. This will save time and money that you can put towards other things to improve the rest of your property as well. Hydroseeding will provide you with a much healthier, greener, and longer lasting lawn than other methods. This is because the roots go deeper into your soil and also avoid the shock that other lawns face when being transplanted to foreign soil. 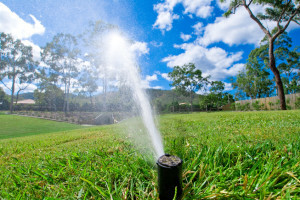 You also get a more ideal growing environment, as hydroseeding consists of many interlocking fibers that will give you a more complete coverage. You will not have the patches in areas like you would with other methods. This will give you a more beautiful lawn that you can take a lot of pride in every day. One reason hydroseeding has become more and more popular over the years is because of its versatility. It can be used for residential and commercial landscapes, making them more complete and beautiful. It can also be used for hillside stabilization, wildfire repairs, golf courses, and school yards and parks. This versatility and ease of use make hydroseeding a fine choice for your lawn, especially if you want to enjoy a full, healthy lawn in the minimal amount of time.